Have you've heard about The Pirate Bay? It's a little Swedish project to bring bittorrent files to the people. They were sued for it, and unless their appeals work, they lost. Also, by proxy, freeways lost. It wasn't a very pretty trial and in western terms, not a very fair one either. Despite the fact that I'm getting older every day now, the "guilty" verdict made me feel young and full of spite again. After all, how could anyone win a trial against a freeway on the grounds that cars could go illegally fast on it? Well look out freeways, you're next! On part of the prosecution and jury, there must have been a profound lack of understanding as to how the Internet works. The whole spectacle felt like a trial between the future and ten years ago (and ten years ago won). Politics were involved, I'm sure. 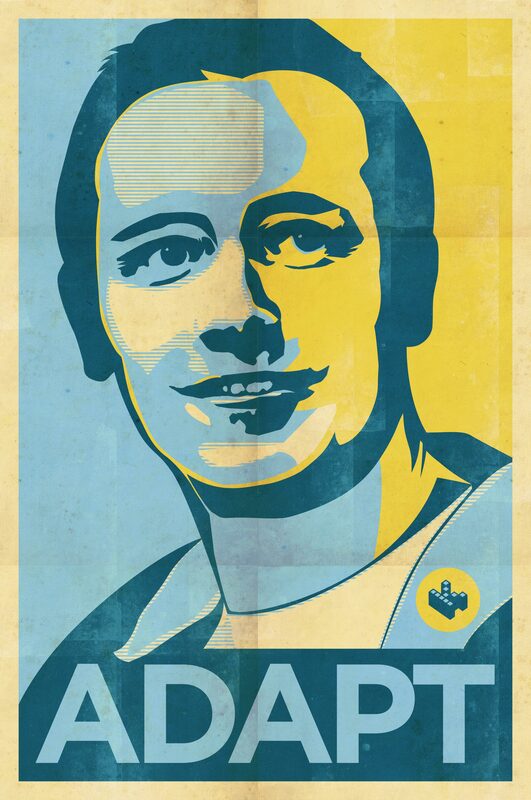 So I made a political poster, grossly inspired by Shepard Faireys gorgeous Obama poster, depicting the now former spokesperson of The Pirate Bay, Peter Sunde. I took inspiration from Fairey, not only because his poster is really really incredible but also to add a subtle point to the copyright discussion. Legally, my version of the poster constitutes a knock-off, which shouldn't get me sued. Yet, it's clearly inspired by Fairey. Which I deem to be ethically okay, since I'm not passing the style off as my own or being secretive about it. Somewhere along the line, copyright was probably infringed upon. Is it okay for me to do this and if so, when does it stop being okay? Sharing files is not inherently evil. Enter Kopimi, (gibberish for "copy me"), which is a license you put on stuff you want people to copy. 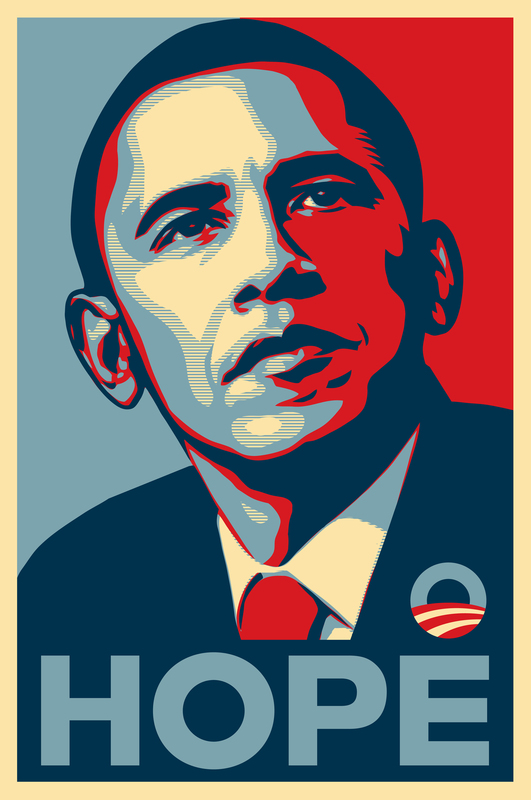 Notice how there is one on the poster above: copy it, print it, use it, tweak it, redistribute it. Kopimi is an initiative spearheaded by the Pirate Bay folks, I'll bet, to provoke discussion on the obsolete aspects of copyright in a digital world. I'll get behind that. Discussion is good. Hence this poster. The schism between how we used to do things, and how we're going to do things in the future. It's a fight between those who think what The Pirate Bay does — share links pointing to illegal content — shouldn't be legal, and those who think it should be. It's modern day hippies vs. a modern day Richard Nixon. But this time, Nixon is winning. The not-yet-existing legal web service that offers the same streamlined distribution channels, but with paid-for content. There's a giant octopus in the corner. He tells me that in the future, we won't buy DVDs or physical media. We'll want things to be digital so that when Universal Soldier 3 premieres on video, we can buy it online and watch it the very same evening instead of order it from Amazon.com and bite our nails for weeks hoping the disc won't get lost in the mail. The octopus tells me the producers of Universal Soldier 3 will actually earn a larger piece of the pie through digital distribution since they needn't worry about producing a box chock-full of anti-piracy leaflets and anti-piracy pre-movie trailers. The octopus goes on to tell me everything is going digital these days anyway; photos, documents and files, so why shouldn't music, TV shows and movies do the same? That octopus has been sitting in the corner for a few years now, waiting for someone to listen to him. Steve Jobs has sensed the presence of this octopus. This moved him to bring music to us digitally. Now there's Deezer and soon Spotify. Very nice, thanks Steve. Similarly, using Steam engines and octopus-inspiration, Valve has brought us computer game downloads in the same fashion. Only, once you've purchased a game, your Steam account owns that game forever, just like you would had you bought a boxed copy. Using bittorrent like file delivery systems, you can always re-download your purchased Steam game, should you somehow lose the file. The prescient octopus told me neither of these has it right yet. He tells me there's a yet-to-be-created mythical service which allows the whole world to buy music, TV shows and movies, and once purchased, they're the property of your account forever. He also told me the creator of this service will rake in the cash from the very same audience that currently get their episodes of "Chuck" from The Pirate Bay. By the way, the octopus' name is "Adapt" and his motto is: "build it, and they will come". Ah, you’re talking about Xbox here, right? or hulu? or roku? personally I watch all my legally streamed movies for free from hulu on my xbox. good times. I hear people are doing this with netflix too, though I’m getting the feeling you’re talking about release date movies, right? meh. I’ll watch the ones that I want to see day of release in the theater. then when it’s released on disk, it’s generally on netflix/hulu/etc, and I watch it then. Hulu is not available in Europe, and neither is Netflix. I’ll wager they’re not available in the rest of the world either. Which all in all is a pretty huge audience they’re missing. I understand it in the case of Hulu, because the ads they’re showing are for products I can’t buy. So why can’t I throw in a buck and watch it ad-free? And yes, I’d like both release shows and dvd release date movies to be available to the people in a convenient, legal form. One way or the other.